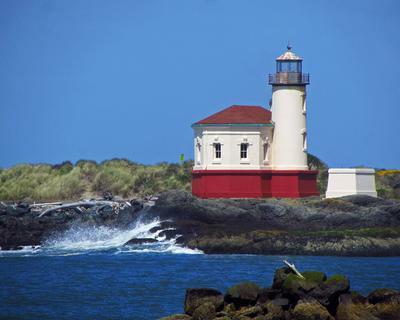 I love the lighthouses near my little town of Reedsport on the South Oregon coast! 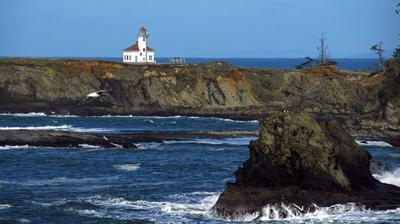 I have photographed Heceta Head Lighthouse (even during restoration) to the north of Florence, Umpqua River Lighthouse (inside and out) in Winchester Bay, Cape Arago Lighthouse (even during repairs) just south of Charleston, and Coquille River Lighthouse in Bandon. Lovely photo. 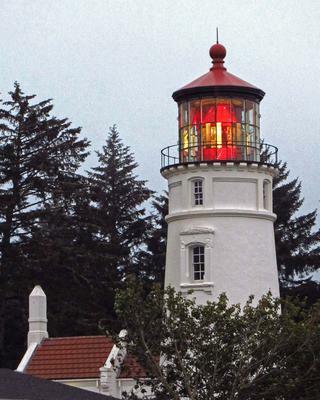 I have named my business here in Roseburg: Umpqua Lighthouse Counseling. I would love to use your photograph in the future on my business cards and banner for my office. Would this be possible. Not sure if you have a copyright on it or not. Join in and write your own page! It's easy to do. How? Simply click here to return to Lighthouse photos and info.